A scientist was "dismissed" by the Department of Biological Sciences at the University of Edinburgh, UK. It was the cell biologist Irina Stancheva who specialises on the epigenetics and regulatory methylation of DNA. Her institutional website was deleted just hours after I sent my email inquiries to her former faculty colleagues. A scientist was “dismissed” by the Department of Biological Sciences at the University of Edinburgh, UK. 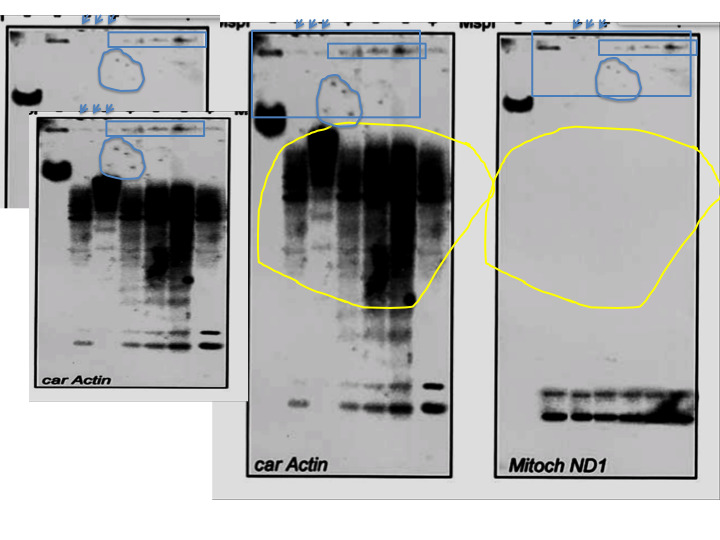 All evidence points towards that it was the cell biologist Irina Stancheva who specialises on the epigenetics and regulatory methylation of DNA, and who departed from the university recently, after a forced leave. She also has an impressive record on PubPeer, where her publications were flagged for suspected data manipulations around 2 years ago. 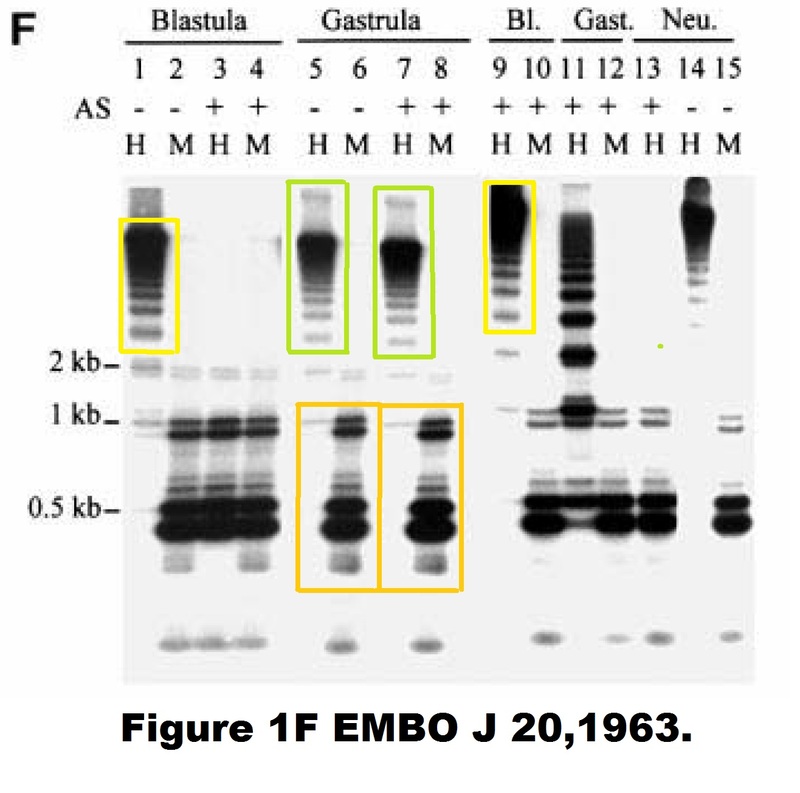 The suspicions were mostly of western blot band re-use and duplication. Around same time, an investigation started about these PubPeer issues, and by now Stancheva’s name does not feature of the Department’s list of academic staff. A archived version from December 2016 does feature Stancheva, but not that of August 2017. Her institutional website was deleted just hours after I sent my email inquiries to her former faculty colleagues. The School has recently investigated a case of research misconduct which led to the dismissal of a member of academic staff after they were found to have published falsified results. A recent case elsewhere in the College has led to dismissal for financial fraud after a member of staff was found not to have acted with expected standards in claiming expenses. First, I want the School to be an environment where anyone who has legitimate concerns about research integrity (or other behaviours such as bullying or financial misconduct) feels comfortable and confident in bringing those forward in the knowledge they will be handled appropriately and fairly for all concerned. In both cases above, there is some evidence that individuals who may have been aware of issues did not feel they could raise concerns through the appropriate channels, or did not know how to do so. I have a personal commitment to ensuring the School is a great working environment, and will be working with senior colleagues to make sure that everyone feels able to manage honest discussions on such matters and to challenge poor behaviour without negative consequences. Second, I want to state the obvious and emphasise that we expect the highest standards of research and professional integrity from all staff in all areas of work. Should you have any doubt, for instance, as to whether an action is appropriate or expense is allowable, please seek advice from a senior colleague or member of admin staff. I am always available to discuss, informally and in complete confidence, issues of integrity or inappropriate behaviour if they arise. As you may know, Irina Stancheva was appointed as Director of Graduate School of Biological Sciences on 1 September 2013 for an initial three-year term with the option of extension to five years. The initial three-year period is now drawing to a close. Irina has kindly indicated that she is willing to serve for a further two years until 31 August 2018. I am very happy to extend her appointment. I would like to take this opportunity to record my thanks to Irina for her contribution to the School over the past three years and I look forward to continuing to work closely with her over the next two years. “Dear Anonymous PubPeer individuals: I do not participate in an anonymous witch hunts. Those who wish to comment on the work from Irina Stancheva’s lab should show that they have the courage of their convictions by identifying themselves. Otherwise, this whole exercise has a more than slightly unsavoury air about it. Earnshaw confirmed to me in an email that Stancheva indeed left the university, but chose not to provide any details. Thing is, what his department and the University of Edinburgh did was also everything but open and transparent. As I found out, Stancheva investigation began in autumn 2015 and was simmering for some time until it kick-started properly after people (including myself) began asking about its progress roughly one year ago. On June 12th 2017, the cell biologist was placed on “immediate forced leave”, as I was informed. The above email by Gray suggests she was made redundant soon after. Stancheva is still listed as Executive Editor at the editorial board of the journal Nucleic Acids Research (NAR), with her Edinburgh affiliation. Her lab’s website at the University of Edinburgh was fully functional as of morning October 11th 2017. As soon as I started sending emails to faculty, these pages began to disappear, replaced by an error message (I managed to save only this one page as backup, it was deleted the moment I saved it, at around 9:45 PM). The university then even jumped to remove all mention of Stancheva on her above mentioned MRC grant, which they apparently decided to keep. Let’s see for how long the above shown video will survive on the university’s website. One wonders however if the University of Edinburgh, which was so ruthless in its misconduct investigation against their Bulgarian group leader Stancheva, ever bothered to put forward any questions at all to her former postdoctoral advisor, last and corresponding author on four PubPeer-flagged papers and professor at the MRC Human Genetics Unit in Edinburgh, Richard Meehan. After having published that successfully with Meehan, Stancheva started her own research group in Edinburgh in 2002, as a Cancer Research UK Senior Research Fellow (grant number C7215/A8983). In 2006 she received an EMBO Young Investigator funding award, and was tenured as Reader with the University of Edinburgh in 2014. This secretive Stancheva affair reminds of another Scottish misconduct investigation which resulted in a biologist’s “resignation” from the job: that of the Irish microbiologist Robert Ryan at the University of Dundee (read here and here). I will provide updates to this article should any new information become available. “Over the past year the University, following its formal Research Misconduct Policy, has investigated and upheld allegations against one of our researchers. As a result, the researcher was dismissed from the University. Update 22.10.2017: The journal NAR did not answer my inquiry, but silently removed Stancheva as their Executive Editor from their website. A cached record is available here. Update 14.12.2017. the University of Edinburgh now rejected my FOIA inquiry twice, also after internal review. The information which Stancheva papers were investigated, and whether her senior co-author Meehan was under investigation also, was denied due to privacy reasons. which includes blaming the foreigners (or when abroad “The Natives”) and this has been standard issue for over 3 centuries – after all, the “left footers”/”navvies” took the blame from the 18th Century for over two centuries. If the University of Edinburgh really want all the best for the innocent scientists at their institution and stop people like Leonid from asking, they should practice more transparency and publish the full investigation report and get the fake research data retracted ASAP. 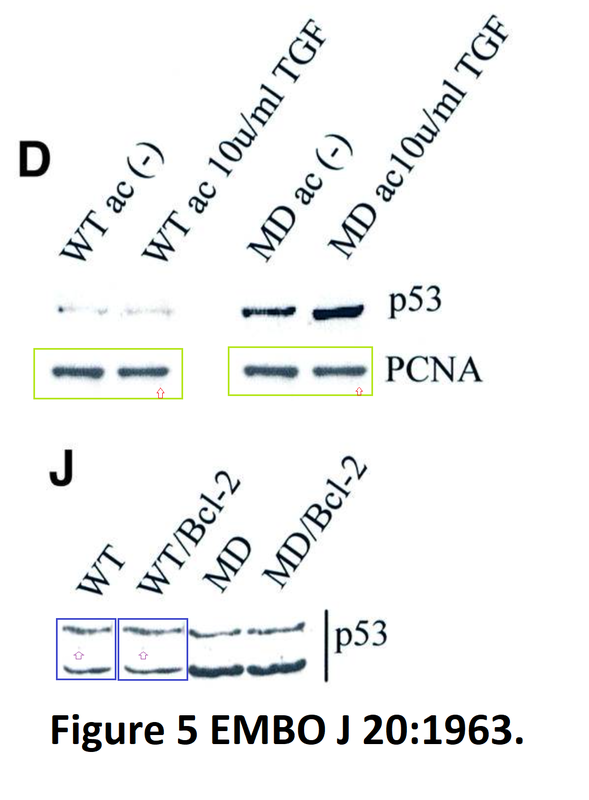 Several posts about image duplication appeared on Pubpeer in May 2015. If the university had acted at that time it could have been over in 6 months (How difficult can it be to determine if images are the same?) so that the innocent could have got on with their research much earlier. The manipulations in his articles are far worse than anything Irina Stancheva has supposedly done. How come nobody at Edinburgh university noticed the problematic data in Stancheva’s publications? I don’t think that it is in any way like the Harvey Weinstein news reports as Stancheva is plain so eyes of foolish old men would not have been distracted on that account. Richard Meehan comes from Adrian Bird’s lab. Adrian Bird is senior author on a highly problematic paper with Irina Stancheva. Adrian Bird is thought to be in with a chance of a Nobel prize for his work on epigenetics. He will be furious and he would have wanted her out. It’s all about a chance of the prize. 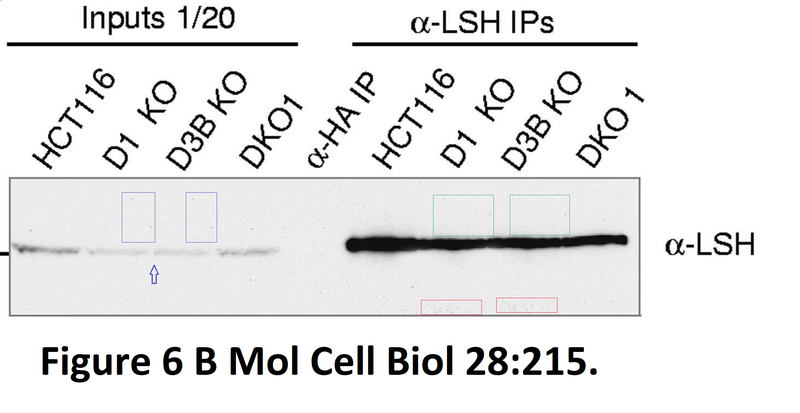 Are western blots results reproducible? Each set of western data should be unique. You might produce data, which when quantified compared with some standard, are similar, but this does not mean that the images should look identical. Blots from the same membrane can be compared (cards in the same pack), but that does not you can shuffle blots from different membranes (different packs) and in so doing present more data (combinations) than you have. That is what many did and now they have been caught out. People either didn’t know this, i.e. did not understand the fundamental nature of the assay (but when has lack of understanding ever got in the way of success? ), or did know and carried on regardless shuffling away, and were quids in. Witting or unwitting it did not make sense, and witting or unwitting does not matter. The name of the game is to be quids in. It pays to shuffle from different packs. EMBO J. 2001 Apr 17;20(8):1963-73. Loss of the maintenance methyltransferase, xDnmt1, induces apoptosis in Xenopus embryos. Stancheva I1, Hensey C, Meehan RR. Genes and Development Group, The University of Edinburgh, Department of Biomedical Sciences, Hugh Robson Building, George Square, Edinburgh EH8 9XD, UK. Wellcome Trust Centre for Cell Biology, University of Edinburgh, Michael Swann Building, Mayfield Road, Edinburgh EH9 3JR, United Kingdom. A mutant form of MeCP2 protein associated with human Rett syndrome cannot be displaced from methylated DNA by notch in Xenopus embryos. Stancheva I1, Collins AL, Van den Veyver IB, Zoghbi H, Meehan RR. Genes and Development Group, School of Biomedical and Clinical Laboratory Sciences, University of Edinburgh, Hugh Robson Building, George Square, Edinburgh EH8 9XD, United Kingdom. The epigenome webpage is undated. Website for home institute listed on epigenome webpage. Stancheva is NOT listed amongst the faculty. I have not seen any sign of them. Does anybody know when corrections, or retractions might appear? Excellent question. Scottish Information Commissioner now discusses with University of Edinburgh about their refusal to release any information to me about Stancheva investigation. The university said it is a private, personal matter. So, a non-national female is accused of falsifying data, tried in secret and dismissed whilst any potentially complicit Brit in the same lab is deemed innocent and the university pockets her research funds. I smell a rat. Such treatment of non-nationals in Edinburgh is not unique – shades of things to come in a post-Brexit Britain. This is not the first case where research misconduct has been handled in such secrecy at the University of Edinburgh. Robin Allshire had to retract one Science and one Nature paper authored by Vera Schramke. Retraction notices stated that the research results couldn’t be replicated. In fact, it was widely known by the people in the lab that Vera Schramke never even conducted many of the experiments claimed in those papers and yeast strains didn’t even exist. @jobimT can you provide proof for this claim? the information I have is that indeed it was the boss of Schramke who wanted to destroy her career and claimed the work should be retracted after the plasmid and cells had ‘disappeared’. His motif for this is unclear. Please clarify. @Nix Recto I suppose neither of us can clarify what we heard from people close to the incidents and that’s exactly my point. The University of Edinburgh and many other universities don’t reveal the full extent of investigations. That being said I find it hard to believe that someone would retract a Nature and a Science paper just to destroy someone else’s career as you suggest. If the experiments were true, someone else would have probably published them afterwards? @jobimT I agree and its a very strange story. However, it seems the papers still get citations from the field. I am not in the subject so can’t just if that support one or the other story…….would be interesting to know.